We present Canada’s most talented emerging, mid-career and established visual artists, featuring a wide variety of styles. We’ve been working with artists online since 1999, helping them get the best exposure possible. Your art will be marketed professionally on the search engines and with social media! We take NO COMMISSIONS. 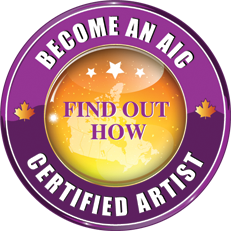 We are just passionate about helping artists be successful and meet their art marketing goals.